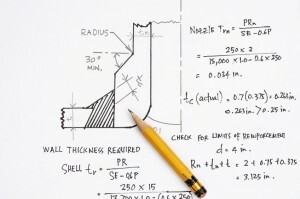 Structural engineer peer reviews are becoming more common in today’s marketplace. There is a need to ensure quality through both the design and construction phases of a project. Savvy owners may require their design consultants to obtain a peer review to ensure against fatal flaws in the design, non-compliance with the building code or to value engineer a design; engineering consultants with limited staff may feel the need to have a peer review of in house designs; and municipalities are increasingly requiring peer reviews prior to granting construction permits. Structural Innovations can assist by conducting a third party, independent peer review. Our staff of licensed, structural engineers have an in-depth knowledge of the relevant building codes (i.e. International Building Code, American Concrete Institute design standards, American Institute of Steel Construction design standards, etc…) and a diverse experience across a multitude of projects. We know what it is like to work on demanding projects with intense schedules, and we will work with you through the design process to ensure the review does not compromise the project schedule. All findings from our peer review will be presented in a report format, and we will provide follow-up meetings as required to convey and reconcile our findings. A detailed review of the geotechnical engineering recommendations to ensure the foundation design is in compliance with the requirements of the geotechnical engineer. A detailed review of the lateral load path through the structure to ensure the foundation is designed to handle any high compression, tension and shearing forces that may develop at the lateral load resisting elements. A review of the floor structure to ensure design loading conditions are safely met. A review of the lateral load path system through the building to ensure the structure is properly designed and detailed to meet the requirements for design wind and seismic forces. A cursory review of the project specifications to find conflicts with design drawings, ensure appropriate materials are specified and ensure specifications are relevant to project. A detailed review of the Design Criteria to ensure the appropriate requirements of the Building Code are incorporated into the design.